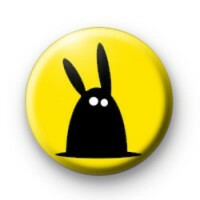 This is the koolbadges logo - koolbunny, she needs a good home. So pick what colour you like best & take her home. Button badge pin.